Salome Zurabishvili can exercise the presidential authorities based not on the interests of any political party or group, but based on interests of the country and the public, – Irakli Kobakhidze, Speaker of the Parliament of Georgia made the regarding statement at the briefing held after the sitting of the Political Council of Georgian Dream. 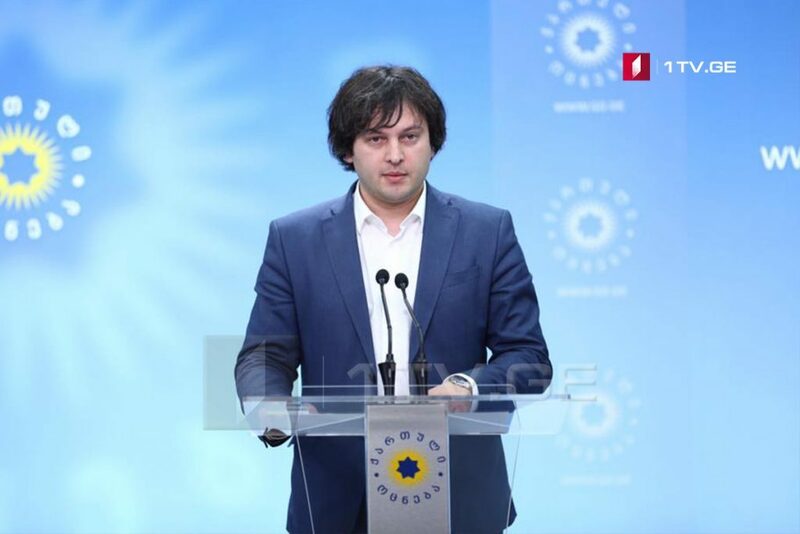 According to Kobakhidze, Zurabishvili can become the first non-partisan president in the history of Georgia. “Salome Zurabishvili has a great political experience as well as diplomatic experience. She can become the first non-partisan president in the history of Georgia. We believe that Salome Zurabishvili can establish a new tradition in our constitutional system”, – he said. Kobakhidze is convinced that with the support and backing of Georgian Dream, Salome Zurabishvili will win in the first round of the presidential elections. The ruling Georgian Dream party will support the candidacy of the independent candidate Salome Zurabishvili in 2018 presidential elections. Speaker of the Parliament Irakli Kobakhidze stated in this regard after the session of the Political Council of Georgian Dream.